Last summer we did a guide on setting up the pattern lock screen on a Samsung Galaxy S2 and since then we've learned something new about the pattern lock screen, how to "hide" your entry. 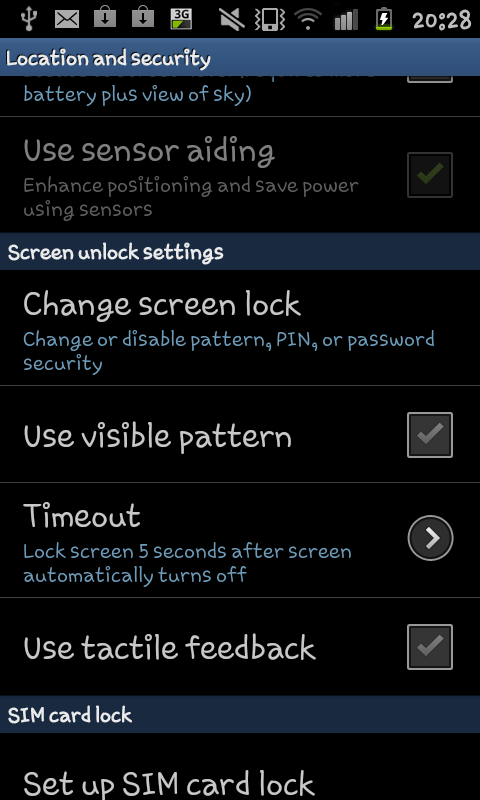 Firstly you will need to set a pattern lock screen on your phone (guide to doing that can be read here) and then you need to go back to the "Location and security" settings screen (where you found the lock screen options). When you are back in the "Location and security" menu you will notice some new options in a sub menu called "Screen unlock settings". Amongst these options is the "Use visible pattern", if you untick this check box and then lock your phone and go back to the pattern screen you will notice that the lights don't light up if you slide your finger across them. Whilst this may seem like an unnecessary extra step it does stop people from seeing you entering your pattern and as a result it does make your phone more secure in the case of someone else getting a hold of it. 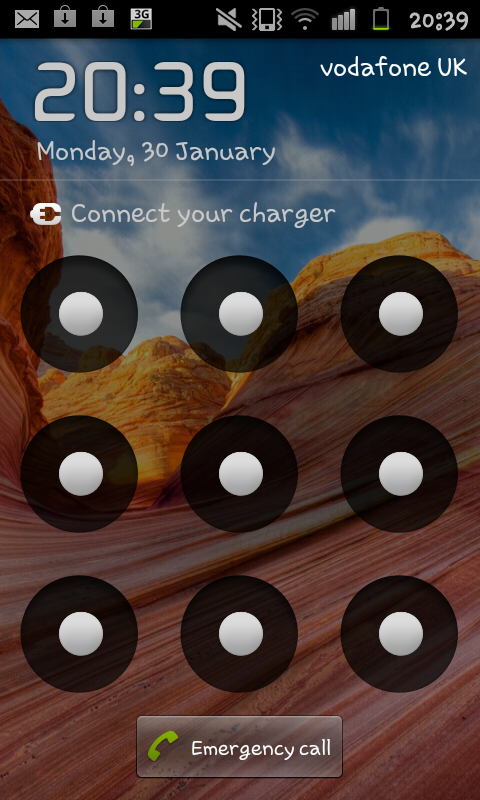 If you wish to get the lock pattern made visible again just tick the box and the visible lines will return next time you go to your lock screen. I have locked my phone with pattern. After trying the wrong pattern i can not restore my phone anymore. Any lick there?